Up until recently, asking someone about blockchain would likely have yielded you an answer about bitcoin– if that someone knew anything about blockchain at all. But recently, investors, banks, governments,and other institutions have been finding new uses for blockchain. It even made its way into U.S. presidential candidate Hillary Clinton’s policy goals for technology and innovation, where Clinton vowed to help American innovators lead in “the next generation of technology revolutions”– among them, “public service blockchain applications.” So what is blockchain, and why should you care? Blockchain, simply put, is a digital ledger. 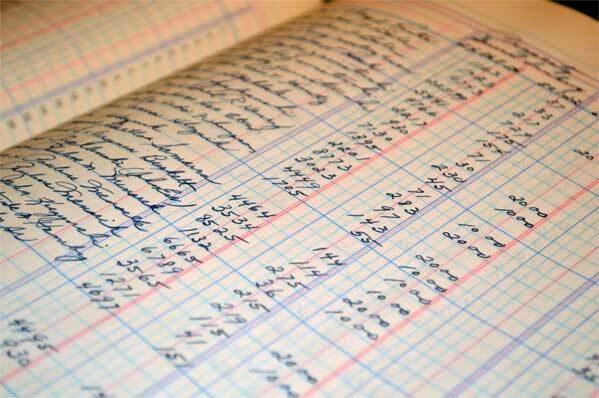 A ledger is a system for recording transactions, and people have used them for thousands of years. What makes blockchain different? Blockchain could potentially be revolutionary, because it has no central authority, and its cryptographic technology makes the ledger tamper-proof. The system is at once transparent and secure, and it has a massive range of potential applications. • The blockchain ledger could be used to transfer any type of value, from crypto-currency like bitcoin to the ownership of land to a university degree– just to name a few. It is, after all, a digital ledger that could record any transaction. • Blockchain performs these transactions without any central authority, removing the need for ‘middlemen.’ It thus transforms the role of public and private institutions such as banks and road transport authorities. More and more people are starting to recognize the potential of blockchain as a tool for development, economic growth, and trade. Here are two examples of how it could affect your work. Land titling isn’t easy in developing countries, especially in the Asia-Pacific region. Take the Philippines, where, as the World Bank reports, land titling is a “tedious and expensive” process that can take years. Faced with the prospect of investing so much money and time, many landowners simply don’t bother to register their land. But think of the benefits that a more efficient land titling process could bring. For example, a landowner could use their land as collateral to apply for a loan. Maybe they use that loan to start a business and generate increased income. Blockchain could revolutionize the record-keeping process, making the system more efficient and more trustworthy. The government of Georgia is planning to pilot this application now– it’s teaming up with blockchain company Bitfury in hopes of bringing transparency and accountability into the country’s land titling system. And why stop at land titling? Around the world, there are countless properties and assets that have owners but aren’t documented in any formal record-keeping systems: think cars, machinery, equipment, even livestock. Peruvian economist Hernando de Soto calls this “dead capital,” and in total, he estimates that it’s worth about $20 trillion. In developing countries, the existence of dead capital is a major obstacle to encouraging international investment. In de Soto’s words, “Things are owned, but when they’re not adequately paperized or recorded, they cannot fill the functions of creating capital and credit.” Put another way, if people in developing nations are able to register their assets, these assets could then be leveraged to release capital to finance business and economic development. Moreover, blockchain creates a bureaucracy you can trust. Blockchain has earned a reputation for being tough– if not impossible– to tamper with, due to the way cryptography is incorporated into the process. Any attempt to tamper with any part of the blockchain is apparent immediately, because a full copy of the blockchain contains every transaction ever executed. But technology is just part of the picture. Any innovation– especially one so disruptive– needs a supportive infrastructure to succeed. In Honduras, as Forbes’ Laura Shin reports, a planned government collaboration with the blockchain platform Factom was delayed for months because the government was not fully committed to it. Governments will have to make a concerted effort to participate in the development and implementation of these platforms, and if they don’t, they won’t be able to reap the benefits. It’s also important to remember that blockchain is an emerging technology. Bitcoin’s version of it has proven secure and resilient, but as Forde writes, “it can only process 5-7 transactions per second.” Before the use of blockchain can expand in the radical ways technologists are dreaming of, we’ll need a much more efficient system. The ledger is such a basic part of our economy that a way to make it more transparent and accessible– like blockchain– can be fundamentally disruptive. Whether or not it reaches its full potential, blockchain has started to shape the world– and this is a critical opportunity for governments to lead and shape its future. Dr Stuart Gill is a Partner at the Network Centred Innovation Company SecondMuse. He is a pioneer and leader in the practice of innovation for development having worked in over two dozen countries around the world. Stuart believes that the development challenges that we face today are fundamentally changed by our connected society – think Arab Spring, pandemics, access to low nutrient food. Moreover, this connection revolutionises the nature of power and thus our approach and capacity to meet these challenges and build more sustainable and just systems. Before coming to SecondMuse, Stuart founded the first innovation group at the World Bank and built some of their most creative public-private partnerships, such as Random Hacks of Kindness a collaboration between – Google, Microsoft, Yahoo!, NASA and the World Bank. Prior to working at the Bank Stuart taught and researched in the Department of Astrophysics at Columbia University. SecondMuse is a close collaborator of the innovationXchange working on projects such as, the Pacific Humanitarian Challenge, the Blue Economy Challenge, and the LAUNCH Food Progam. This is a great article about blockchain. Thanks for sharing this informative information. This article give a good idea about block chain development.